A Leeds estate agency has launched to market the highest-valued apartment in the city centre in its history. 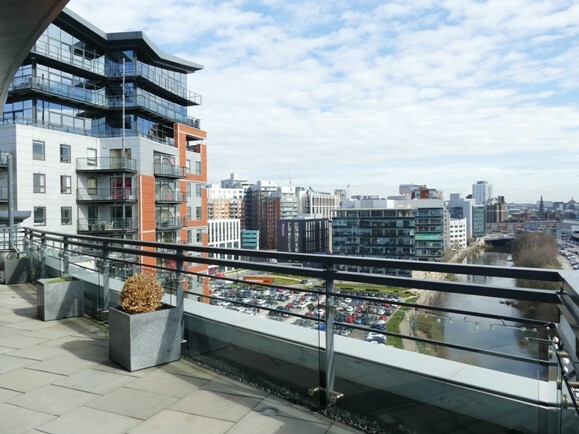 The landmark listing of the tenth floor penthouse apartment at Whitehall Waterfront marks another milestone in the resurgence of Leeds riverside living, according to Linley & Simpson. On the market at £550,000, only one other apartment in the city centre is currently for sale at a higher price. Sales manager Andy Bonner said: “This is the highest value property we hae been invited to market since we opened a branch in the city centre over a decade ago. “It is a landmark listing in the continued renaissance of Leeds waterside living in general, and Whitehall Waterfront in particular.